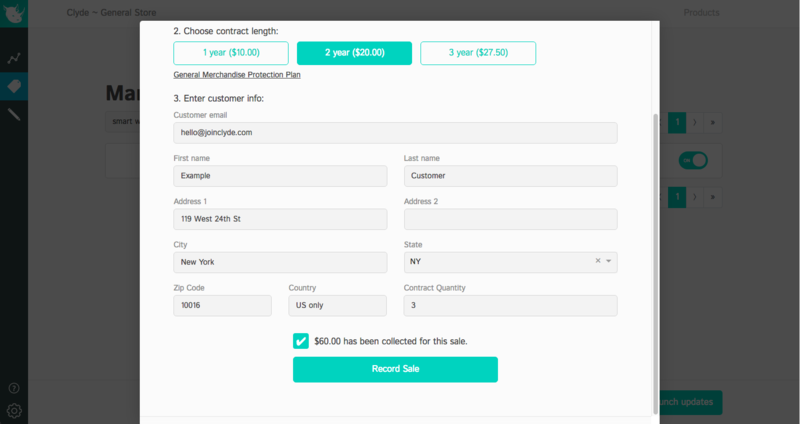 Record contract sales directly in Clyde's webapp for B2B or in-store sales. We've added the ability to record a sale directly in our app. This enables a partner shop to record a sale of a contract that they make through B2B/in-person, or after checkout sales. For sales not made through an e-commerce integration, you can now record a customer's information to get their product covered. Just verify their information, confirm that you've collected the appropriate payment for the sale, and you're good to go! Sell contracts in bulk using "quantities" in the "record contract" feature. White label your offering and customer communications. Businesses can now upload a logo that will be used in several places to fully feature their brand. 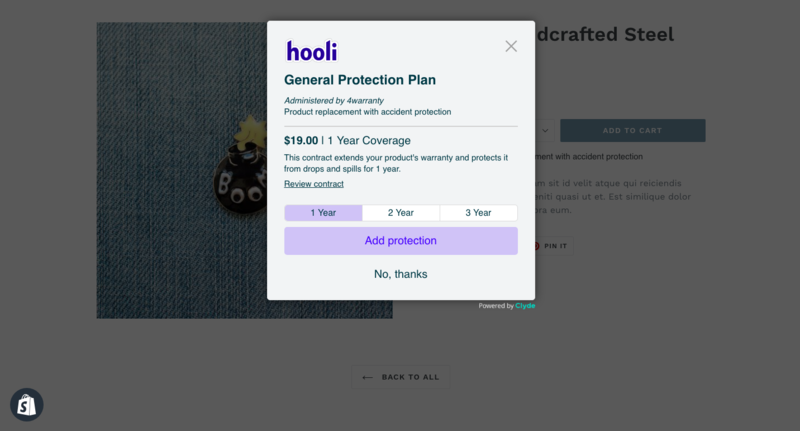 It will be seen in the modal pop-up, in newly-designed contract info emails sent to customers, and as the product image for warranties in your Shopify store (as soon as you "Launch"!). This is a part of our on-going effort to help our partners maximize their customers' trust. If you're already a live store, head to customize to upload a logo. What's the Difference Between Insurance Policies, Warranties, and Extended Warranties? Insurance industry jargon can be confusing. We're here to help you makes sense of it all. How a warranty can give your business an edge and how to get started writing one.